Left) Or Park On Orris Street. Craftsman style Highlands Colonial boasts two major expansions that created flexible living space, perfect for entertaining, while staying true to the architectural details of the style and turn of the century charm. Beautiful moldings, built-ins, French doors, fenestration and flooring enhance this home and sunlight bathes most spaces. Heat, insulation, roof, electrical and plumbing date to 1995. Gracious foyer with paired closets welcomes you; the living room centers around the wood burning fireplace surrounded by a wall of bookshelves. Reclaimed cabinetry from Melrose's Lincoln School adds charm to the flex space, currently used for dining, which could be a combination dining room/family room and opens to the kitchen boasting granite/butcher counters, SS appls and great prep space. Fourth bedroom with full bath could be used as a study or gathering space. 3 BRs, full bath & laundry on the 2nd. Enjoy BBQs on the deck! 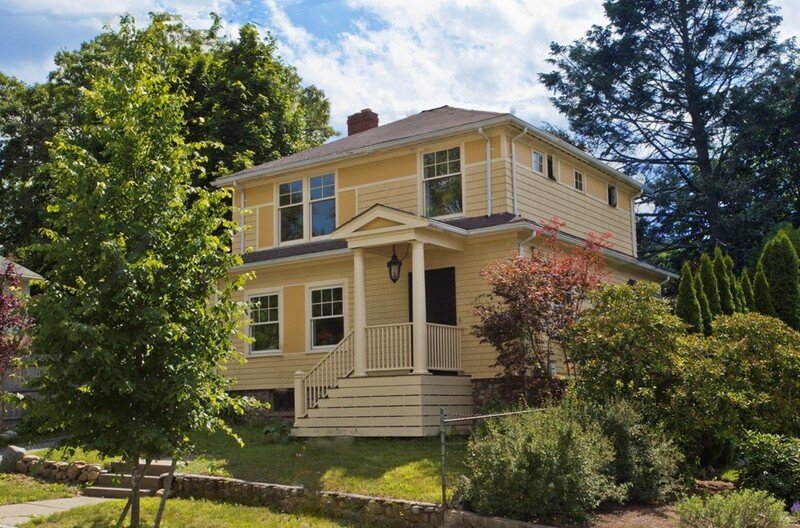 Highlands train, shops, the Fells and downtown Melrose all nearby.